John and Michele Have 17+ Years Of Helping Clients Invest In Home Ownership and also Helping Clients Sell Their Investments For Top Dollar in Every Market Condition. Put our knowledge and experience to work for you today!! In today's real estate market, there is simply no substitute for a great Minnesota REALTOR®. A REALTOR® who is forward thinking, honest, approachable and knowledgeable. We go the extra mile to ensure that each real estate transaction is as problem free and stress-free as possible. Satisfied and happy clients are tops on our list. Let us counsel you on one of the biggest financial transactions of your life. We know that the only way to succeed in real estate is to provide more service than you can get anywhere else. And you will get that kind of service when you work with us. We will provide you with the personal service you deserve. Because of the unique status of some properties in the area coupled with the current real estate market, an experienced Minnesota Real Estate Agent is vital. It can be difficult and time-consuming to locate and purchase that first home, move to a bigger home, downsize to a smaller home, acquire that dream vacation get-away, or invest in an income property. While our professional experience can help you navigate the technical features of buying a home, it is our attention to detail that sets us apart. We will keep you informed of all the newest listings including all bank owned and short sale properties and can send them to you with photographs and listing information. Sign up today! We understand that this is not merely a financial investment, it is a life investment. The decision to sell a home is often dependent on many factors. For most families, their home is their largest financial asset, and deciding to sell it is a big decision that involves a lot of preparation and work. When you're ready to sell it's important to have an experienced real estate professional handle the details involved in the successful sale of your home. We know how to handle every aspect of the sales process - from strategically marketing and showcasing your home to making sure everything's signed, sealed and delivered by the closing date. Providing you with comprehensive, high-quality, high tech listing service is our top priority. If you’re thinking about selling your home, sign up for our complimentary Seller's Consultation to learn about the many factors involved in selling a home in today’s market. There’s absolutely no obligation on your part. Now is a great time to be evaluating your real estate position. It has been our pleasure to meet and work with many wonderful people over the past 12 years while helping them buy and sell homes. Almost without exception, those home selling/buying experiences have given us a great sense of satisfaction of a job well done and happy clients to show for it! We are committed to building and maintaining lifetime relationships with our clients. We make sure you are individually taken care of and that your needs come first. Let us know when you are ready to sell and or buy a home in our area. John and Michele can meet for coffee and answer any questions and find out about your real estate needs. John and Michele of REMAX Advantage Plus want to personally thank you for visiting their Minnesota Real Estate Site. If you do not see something on our site and would like us to add it, please let us know. 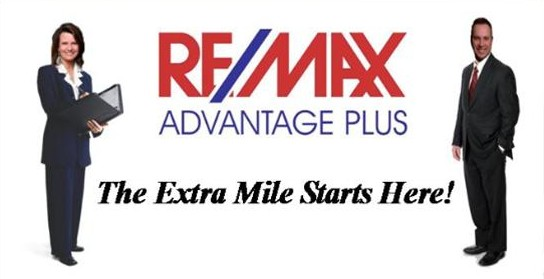 Whatever your REAL ESTATE need is John Anselmo and Michele Anselmo with REMAX Advantage Plus are ready to help!